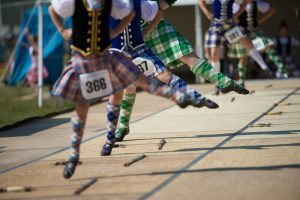 Dating back to the 11th century, the Highland dances of Scotland tended to be highly athletic male dances of triumph, joy, or some other reflection of everyday life. Competitive Highland dancing, for males only, started during the Highland revival of Victoria Britain. Females began competing at the turn of the 20th century. 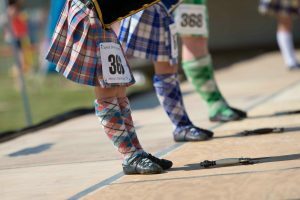 Highland dancing is one of the few arenas where men and women compete equally. 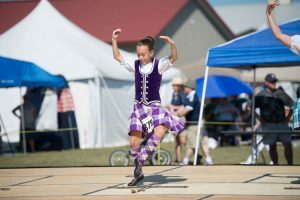 No matter who is dancing, Highland dances require both athletic and artistic skills. Premier dancers will vie for Champion and 1st Runner up within 5 designated age groups. In watching the morning events, you may wonder if the dancers train together, because to the general audience they will look in sync. 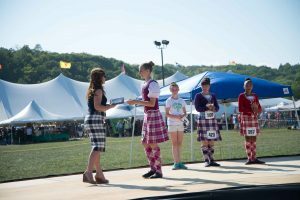 Dancers are required to perform the SOBHD Championship Steps for the following dances; Highland fling, Sword Dance, Seann Triubhas, and Strathspey & Reel. One misplaced step and a dancer will be disqualified. After opening ceremonies, the Pre-Premier competition will bein. 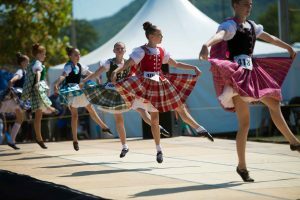 As mentioned above, the Pre-Premier competitive categories are the beggining levels of Highland Dance. Dancers will start with their National Dances (the Scottish Lilt). 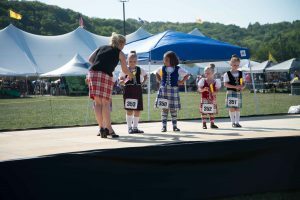 Then, always a crow pleaser, be sure to catch the future of Highland Dance, the Primary dancers (the dancers under 7 years of age) as they perform the 16 Pas de Basques & High Cuts, Sword Dance, and Highland Fling. For history of the dances, be sure to purchase a games program at the entry gates on the day of the games. 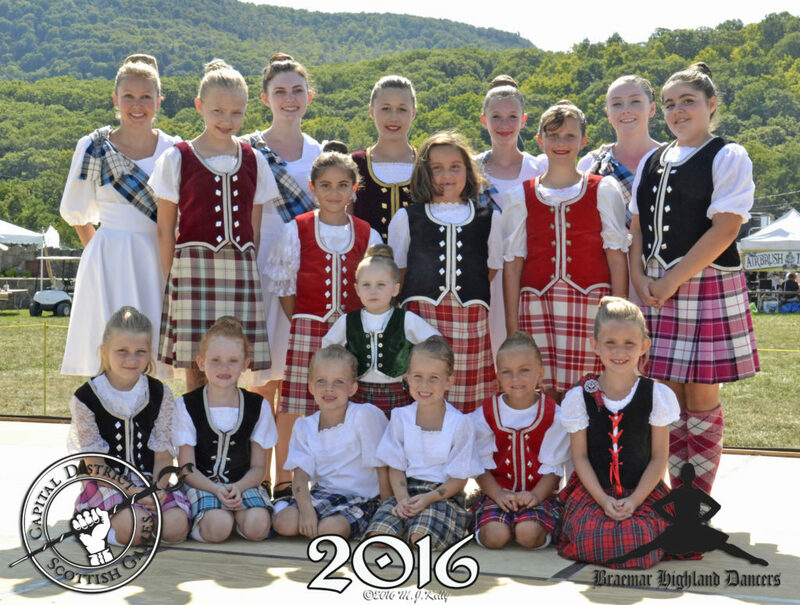 Established in 1962 by Mrs. Jeannie Jardine Braunes (p.2005) the Braemar Highland Dancers are proud to be celebrating over 50 years of promoting Scottish culture and Highland Dance in their Capital District and Saratoga studios. Current dancers range in age from 3 years old to adult. Performances consist of traditional and choreographed dances as well as a chance for the audience to participate. Click here for the 2017 CDSG Trophy Winners. Click here for the 2016 CDSG Trophy Winners. Click here for the 2015 CDSG Trophy Winners. Click here for the 2014 CDSG Trophy Winners. Click here for the 2013 CDSG Trophy Winners. Click here for the 2012 CDSG Trophy Winners. Click here for the 2011 CDSG Trophy Winners. Click here for the 2010 CDSG Trophy Winners.